Buying a home can be one of the biggest investments you will ever make in Brisbane or Sunshine Coast. It is also one of the most important decisions that you will have to make. How will you know what you are buying? How do you know that there are no lurking problems — like termites, wood rot, water damage, crumbling foundations or poor quality construction ? The current owner of the property may not even know these problems exist, so what should you do? Resicert Property, Timber Pest and Pool Inspections Package can help. 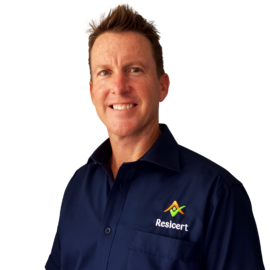 Call the experts at Resicert Building Inspections and we will perform a complete building and timber pest investigation for you. You can choose one of our four levels of inspection and we’ll make sure that your investment will be a good one. All of our property, timber, pest and pool inspection reports are clear and easy to read and available within 48 hours. You will also get a thorough verbal report before the inspector leaves. Easy to deal with. Booked in fast and was very thorough. Fantastic! Information was upfront and true. Service was great. As it was my first time information was key. Fantastic inspection done by Brad. Very impressed with his customer service and work ethic. Thanks, Brad! Wayne did a great job. Ray was great to deal with and the report was thoroughly done! Very friendly, very professional, quick responses and easy to understand! Thanks, Aaron! Ray is a very friendly person to deal with and punctual on his appointment time. Recommended to others as well. We dealt with Brad and he was so quick and efficient. Rang the afternoon of the inspection and explained everything so clearly. Aaron was friendly, helpful, knowledgeable and professional. He explained things in a way that was easy to understand. Very comprehensive report. Very quick. Easy to read! The inspector was happy to chat and explain everything during the inspection. We discovered White Ants painting the house to prepare it for sale. Aaron Tolhopf was flexible and went out of his way to work in with our schedule. He identified the extent of the problem and found the areas we need to repair. Friendly, understanding, thorough, detailed, and competent timely booking. 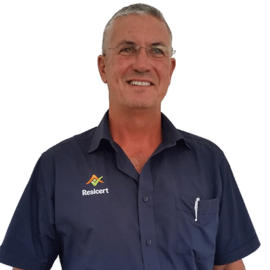 Andrew gave us great advice on how we can avoid termite infestation going forward. Extremely happy and most appreciative of Andrew's help. We used him for 2 properties - on the first one, Andrew identified some major issues. He was extremely diplomatic in the way he communicated these to us. Gave us all the information, stuck to the facts and answered our questions. Was also a terrific bloke. 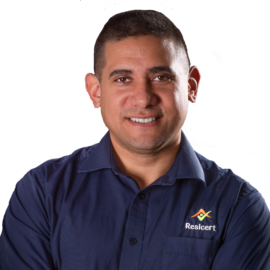 I highly recommend Andrew from Resicert and Resicert's services. The report provided contains a great level of detail for each item and the team was very professional doing a thorough inspection of the property. Also, the team was on time and their level of customer service is fantastic. I had Lester come out and do the inspection on the property before settlement went through in detail with me while I was here and followed up on the report with everything he told me and everything I needed to know and to be careful of. I will be using Resicert’s services again in the future. Good communication. Job well done. As first home buyers, Lester was very helpful in answering our questions and explaining everything. Prompt, professional, and friendly service. Informative and thorough. I would definitely use this service again. Wayne’s a great guy! He’s hard working, very honest and straightforward. He explained everything in a way that is easy to understand. He also provided great suggestions and quick feedback. Lance was friendly and knowledgeable. We were very pleased with the service. Would definitely recommend him! Everything was checked and the report was awesome! Aaron was very thorough which I really appreciated and told me everything that was of concern. Found things we did not know existed on the property. 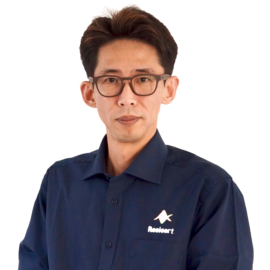 Ray is extremely easy to work with, very professional and diligent. The pre-settlement inspection carried out was very thorough. We will work with him and Resicert again without any hesitation and recommend him wholeheartedly. Very nice guy. He did a thorough inspection. Covered everything! Aaron was meticulous and poked and prodded everything to be sure. Thanks. Aaron was prompt and very professional. He explained things clearly to all stakeholders. He did a very thorough job! Thank you for your prompt, honest and very thorough service. Fantastic! Lester Beecham is very helpful and professional. He pointed out every faulty point as evidence for negotiating. You guys are competent. Both reports were well written and easy to read. We appreciated his honest feedback on the property. Andrew was very professional and thorough. He provided sound advice and gave detailed explanations. Ray conducted his inspections with a smile on his face and a professional manner, quite impressed and satisfied. Aaron was very clear and to the point when explaining the results from his inspection. He was very easy to deal with and prompt with his written report. Ray provided fantastic service. I received a report early morning next day. The report contained all possible details with photos which helped me a lot. I highly appreciate Ray and company. Thanks! Wayne was great. His inspection was very thorough. Impressed with the service. Brad went above and beyond his duty to provide the required help and advice. Very friendly. A lot of attention to detail. The report is fantastic! Easy to organise and did a fantastic job. Super happy with the extra work he did fixing some of the smaller problems he came across. Rang day 1, inspection day 2, report end of day 2. Exceptional turn around given the call day 1 & completion the next day. Wayne was polite, assisting & very thorough with the explanation of the initial verbal advice on the Property & the final report to follow. This is the 2nd time I’ve used Resicert and they were just as good as the first time. Aaron took pride in his work and showed me any problems he picked up on. A detailed report was emailed to me very quickly. Would recommend Resicert to anyone. Thank you for a job well done and promptly. Bradley provided me with a detailed pest inspection report. As I have no building knowledge, Bradley kindly explained the reasons to why certain plants, greenery and vines were not conducive in living in close proximity to my house. This poses a future termite risk and I was so appreciative of the preventative advice Bradley supplied. From the moment I booked the building inspection Bradley was professional and transparent in advising me of closest appointment available. Bradley was more than happy to liaise with the vendors, finding a suitable time that all parties found acceptable. On completion of the building inspection, Bradley emailed a detailed and easy to understand report. This was most beneficial as I am a first home buyer who was purchasing an older house. Bradley also highlighted in the report, maintenance required and what jobs were a priority. Bradley was honest in his assessment which I really appreciated as there were no unexpected surprises once I moved into the property. Bradley called a few days after receiving my report, going the extra mile in explaining the different areas of concern. As my house will require future trade services, Bradley volunteered to supply me contacts of reliable and trusted tradesmen. I couldn’t recommend Bradley higher enough, from this experience I will ALWAYS engage Bradley and his team for all future advice and building inspection needs. Very detailed, helpful report and communication. Andrew was very professional and very approachable. He always answered my calls every time of the day and answered my questions no matter how small. Very fast and efficient report! Aaron was great to deal with, friendly and professional. He did a thorough inspection, gave us verbal feedback at the inspection and a very thorough report within 24 hours. He was also happy to answer any questions we had. Wayne was great, thorough and very approachable. Would highly recommend to everyone! Aaron was so great and friendly to deal with from the first phone call! So thorough with the inspection, quick and very detailed with the reporting! Would highly recommend. Ray was fantastic and extremely helpful during the whole inspection. He was happy to answer any questions my fiancé or I had in regards to defects and provided a very comprehensive inspection. Inspection was booked and carried out quickly. The reports were very detailed and we received them within a day or so. Cannot recommend Andrew enough. Prompt and professional, would not use anybody else. Aaron has once again gone above and beyond in his service of inspecting our new to be home in Victoria Point. He is very professional and friend to deal with and makes sure he covers all areas of the work at hand. Keep up the great work Aaron and thanks a million for your honest work. Amazing service, pleasure to deal with. Wayne was personable and professional. I’m very happy with Wayne’s inspection. Andrew was great and I was very happy with the thorough, detailed report provided. It really gave me an insight into everything that needed to be done to the home and make sure there were no nasty surprises waiting for us. Would happily recommend Andrew to all. Aaron was very friendly, the inspection was thorough and the report was easy to understand. Very professional and very detailed inspection on the property. 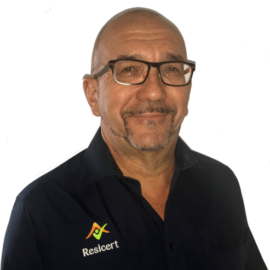 I’m very happy that I chose to use Resicert. Aaron booked the appointment to suit me. He was very professional and answered any questions I had. He was friendly on arrival and I would definitely recommend him to anyone. Expert, honest inspection and feedback. Great solid report covering all the checkpoints we needed to know. Totally recommended. The inspector was very kind and did a detailed inspection. Lance answered every question he could, was very thorough, professional and friendly. We are very happy with our report. The inspector on the day did a very good job. Told us in person what some of the issues are and the severity of it. He was easily approachable. Same applies for the pest inspection section. Was a great experience from the get go. Lance was an absolute pleasure to deal with and all communication was prompt and easy to understand. Building and pest report are very detailed, prompt, fast and quality report. Great service! Very detailed inspection and report given. Jae was very thorough and prompt. I felt that he was honest, trustworthy and an all round lovely person. The report was very accurate and having the photos attached were a big help with the comments. Andrew was excellent. Very helpful, walked me through everything and was patient with all my questions. Wayne is very friendly and helpful. 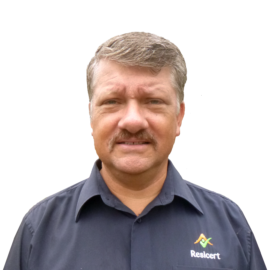 I have used Resicert more than once as they are always thorough and detailed, which allows peace of mind. What an amazingly thorough service! Aaron was great to deal with and so fast to respond to messages and organising the inspection. Could not be happier with the service. I was impressed by how thorough he was at checking EVERYTHING and nothing was rushed. Aaron explained all he found to me in detail. Overall a brilliant job! Professional friendly service with thorough inspections. Clear feedback & relevant information provided in written report. Fantastic service - I was interstate for work & Wayne called me straight after for a detailed feedback on his inspection. Andrew is very thorough. Will use him again for sure. Ray was fantastic, he went beyond my expectations! He is definitely a professional! He was at the site 49 minutes early before inspection time and gave me so many practical and useful advice. He doesn’t limit his capacity within his work boundaries, showing sincere service. Very happy with Andrew’s service! The report was very detailed and all explained well. Very friendly service, Aaron was great. Informative and thorough. Not the cheapest, however, would happily go with them again. Aaron was the BEST! Super friendly and very professional. Great Job! Aaron showed up on time to do the inspection. He was very thorough and discussed any findings with us at the time of inspection to make sure we understood what he had found. Report was made available very quickly. Would highly recommend Aaron to anyone! I'm quite a pedant but Wayne exceeded my expectations. He's a gem! Andrew was very pleasant and appeared to be very thorough. Aaron was very brilliant! He did an amazing job and his attention to detail was fantastic! If you want a hard-working, honest and reliable man, Aaron is your guy. Andrew was great. He explained things so easily and gave advice when asked. Very thorough. Aaron was early to the job I had a chat before he started. The building and pest was 2 hours and he showed me relevant problems on site. The report was very comprehensive and the photos on all the small and large problems are very helpful to make up my mind! My family had Ian complete our pre-purchase building inspection. Ian was fantastic! Very prompt with verbal rundown on his findings after the inspection. Report was also delivered within 24 hours. Very thorough report. We will be referring to report as a checklist for rectifying identified issues. Thank you! Amazing and genuine. Took great effort into checking everything. I am happy with inspection without any hassle. On time, on budget, excellent service! Ray was great. What seemed daunting for us was made simpler by Ray and helped us enormously in our decision making. Aaron was great and very thorough throughout the whole inspection. As the home buyer I had lots of questions for him and he was very helpful & happy to answer. Aaron carried out his job with the greatest professionalism and the report was emailed to us promptly. He listed in detail any issues and was able to explain to us if needed. Once again, we have used Resicert and once again they have not failed to impress. Aaron is fantastic and he managed to squeeze my appointment in at last minute notice for the following day. He always has a great attitude and is always very friendly and polite. The reports are extremely detailed and give great recommendations. They are thinking about the customer at all times along with other interested parties (real estate/sellers) to ensure they are comfortable during his inspection and has great manners too. Dealing with Andy was a breeze, everything went well and he turned up when he said he would. Very happy. Very happy with the service, report and experience. Wayne was extremely knowledgeable and helpful. I felt he had our best interests at heart. Report was detailed and thorough. Brad was absolutely a pleasure to deal with. From someone that had no idea what was involved, Brad was able to put my mind at rest by explaining every process in detail. I will gladly recommend him to all my friends! Ray was professional and efficient, always happy to answer questions and super quick turn around. Very helpful and professional. He was very thorough with his inspection. Really happy with his report and dealing with the developer and myself. I would definitely recommend him to anyone. Aaron provided a very thorough inspection report, and am happy that I chose to go with Resicert for our inspection. Excellent service provided by Aaron, a thoroughly professional investigation with a quick phone or onsite appraisal, followed by a detailed written report with recommendations. Very happy. Aaron was very thorough with his inspection and found a lot of things we would never have thought to check. Very pleased with the level of service provided by Andrew. Fantastic! Communication was great, prompt and scheduling and on time. Thorough report details and explanations of all areas covered. Andrew went above and beyond what we have had before. I've had several inspections done over the years and I actually found an old one the other day, it was two page document that had no pics and no recommendations and the 1st page was all their rules and regulations so Andrew was great, thorough and the report was very detailed. I've already used him twice and would use again! Prompt efficient and thorough cannot recommend this company enough. I felt confident that Andrew was a thorough practitioner. Meet Wayne onsite. He was very thorough and detailed with the inspection and reporting. Lance was very efficient, friendly, thorough and prompt with his inspection. Would recommend Resicert to anyone. Prompt, very pleasant and easy to deal with. Reports were detailed and easy to follow, which made it easy to understand what needs attention. Would highly recommend. Credible consultation.Thorough inspection. Perfect finalization with a report. Aaron did an amazing job, would recommend to anyone! We found Aaron to be extremely professional and helpful and brilliant to work with. Would highly recommend his services. Aaron was fabulous. He answered all my questions and responded quickly when I had other questions after the report was sent. Very professional. Previous property inspection information was passed on. Very prompt service, great communication, great feedback. Professional. Thorough. Strong customer focus. Ian was very pleasant and helpful. Quick to get the reports back to me. Jae is honest and a professional inspector. He gave me a lot of advice after the inspection was done. I can recommend your service to others confidently. Great Service! Report was clear and easy to understand! Clear and well structured report with lots of photos. I would definitely recommend to my friends. Jae was very pleasant and punctual. Inspections were completed in a timely fashion, as were his very thorough reports. Will definitely use Resicert again. Thank you. Brilliant customer service, I was always kept up to date. Jae completed the inspection over and above his normal call of duties. Not only did he perform the inspection on a public holiday, I received both reports midnight. He also summarised the findings for me in an email as the reports are quite long and daunting for the timers like me. He also explained the issues several times so I have a very good understanding of what the issues are. He even kept my lawyers in the loop and saved me time as well. Can't fault with his service. A very happy customer! Extremely thorough. Very professional report. The inspector Jae was awesome. Certainly knows his stuff and an excellent customer experience. Aaron was quite helpful and thorough and explained things in good detail as well as explaining possible alternatives. Friendly, quick to respond and help us. I've appreciated his in depth analaysis. Excellent service, good information and discussion about findings. Comprehensive. Brad King the inspection officer was fantastic! Brad was very professional and excellent to talk too. Brad explained and kept myself and partner informed with what needed to be done, which made us feel confident that Brad was the inspector - you could trust him. I was very happy with Brad he was very helpful with the inspection. l would recommend him to anyone! A complete pleasure to deal with, great communication and very thorough. Brad was awesome and helpful trying to explain everything to me as a first time home buyer. From the first phone call to Brad through to the feedback after the inspection was complete he was fantastic and so friendly! Easy to deal with, no problems at all. Report returned as soon as payment went through. Prompt Service with great follow up. Very good service, quick and reliable. Ray was excellent with communication, punctuality and personal care to the job of pre - handover inspection. Andrew was fantastic to deal with. I left everything to the last minute and Andrew moved things around to accommodate the inspection. I was kept informed all the way and received a call to let me know of what he had found and a very prompt and thorough inspection report. Thanks to Andrew and the team at Resicert. Andrew was great and he did inform me all about the inspection and what he has found and where possible even showed us where the issues was. Excellent service with a straight talking inspector. Provided a full 20 page report with clear photos and description that anyone could make sense off. Found 1 cracked roof tile, Andrew took it upon himself to replace the tile with a spare he found at no extra cost. I'm very impressed and will be recommending to everyone. Andrew was very friendly and knowledgeable and made the effort and time to explain all the details on the report. Will definitely be contacting Andrew for future QLD purchases. This is the second time I've used Resicert for our inspections. I am happy with their work and will use them again if need be, would recommend to them to anyone needing building and pest inspections. Wayne was professional, timely and provided excellent customer service and feedback. "I felt the service was great, the report was very informative and well put together. I was there when the inspection was carried out and was very pleased with the way it was done ( very intensive). And having everything explained after was great." Wayne was very prompt, thorough and great to deal with! Very thorough inspection undertaken in a timely manner (which was great because we were time restricted due to property contract dates) and the report was sent to us quickly too. Much appreciated! Excellent professional services and Wayne Steer did a very good report. Loved all the photos in the report which made it clear and easy to understand. Very good and quick response to our requests and issue of the completed report in our short timeline. I would absolutely recommend Wayne Steer to others. Service was great. Wayne took time to show me defects and advice about rectification. I found the service to be of a high standard. Answered my concerns promptly. I would highly recommend Wayne to all prospective clients! Wayne was totally thorough in his inspection and went out of his way to find a resolution to an issue with roof leaks. In all a great service, happy to recommend! We live 3 hours away from the property we wish to purchase, so it was a great relief to talk to Wayne personally. He was very professional, arranged the inspections for the next day with our Agent and provided comprehensive reports. My husband may call him with a couple of queries. The whole experience was a BREEZE!!! Comprehensive report given. Walk through recommendations greatly appreciative and informative. Wayne Steer is a very thorough and personable inspector. Very happy with his service. Wayne was super thorough which was exactly what we wanted. He explained everything in detail and showed us all the problem areas. Very thorough service and excellent advice, thanks Wayne! Such a thorough report including photos was fantastic. Wayne explained everything in terms we understood and gave great advise for future maintenance. The real estate agent made the comment that she hadn't seen an inspection so thorough. The best she has seen - now that's the best reference you can get as they have seen a lot. Wayne Steer was very helpful during the whole inspection process. I would recommend him to anyone requiring this service. Thorough and efficient inspection and great briefing re concerns regarding the house. Professional, timely and provided excellent customer service and feedback. I believe that it was an excellent inspection and relayed the information back perfectly. Very professional approach with the personal touch. Most thorough job I've ever seen! Great to deal with, very fast on giving me my report. Will recommend to others. Very detailed and useful report. Andrew was never too busy to discuss issues contained in the report, very punctual and knowledgeable.